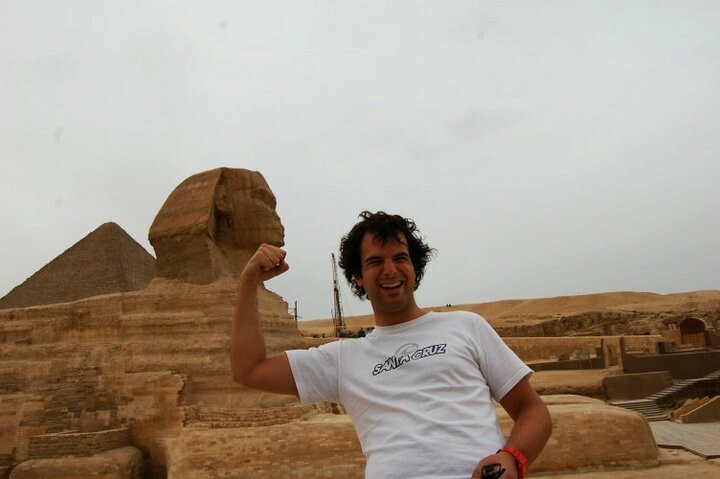 Travel to Egypt and have an amazing holidays during New Year 2011/2012. Start your holidays in Egypt with Cairo visiting Giza Pyramids, Sakkara and the Egyptian Museum then heading to Old Coptic and Islamic Cairo. Enjoy a wonderful trips with Egypt Travel Egypt to the most interesting places at Luxor and Aswan on board AL Jamila Nile Cruise. Egypt Travel representative will meet & assist you at Cairo International Airport. After that you will be transferred to your hotel by a private air-conditioned vehicle. Overnight in Cairo. Breakfast at your hotel in Cairo and then met by your personal guide who will accompany you to Giza Plateau to visit the Great Pyramids of Cheops, Chefren and Mykerinus - Famous Sphinx and Valley temple facing the great statue. Lunch included during the tour and then proceed to Sakkara area to visit Sakkara Complex and first pyramid ever built (Djoser Pyramid). Move to Memphis; Old kingdom's capital and famous Necropolis.Later, you will be transferred to Giza railway station to board the sleeper train to Luxor - dinner and breakfast will be served on board - overnight on train board. Upon arrival at Luxor station, transfer by a private A/C vehicle to your Nile Cruise, Check in for embarkation before Lunch, enjoy the East Bank (karnak temple & Luxor Temple ) and overnight on board. Breakfast on board, pay a visit to the West Bank of the River Nile in Luxor to the Valley of the Kings, the temple of Queen Hatshepsut at El Deir EL Bahari and theColossi of Memnon, then sail to Esna & Edfu. Overnight on Board. Breakfast on board, visit Horus temple, then sail to Kom Ombo to visit Temple shared by two gods Sobek and Haeroris in Kom Ombo. Have lunch on board then sail to Aswan. Overnight on board. You will be accompanied by your knowledgeable Egyptologist guide for an amazing tour to visit the High Dam, the Granite Quarries and the Temple of Philae, then enjoy a felucca ride around Botanical Garden, dinner and overnight in Aswan. You will be met at Giza station, then transfer to your hotel in Cairo and overnight. Breakfast at the hotel and then you will be escorted by your private guide to visitThe Egyptian Museum, where the treasures room for the child king Tutankhamen. Additional visit to the mummies room at the museum (extra ticket on spot) Lunch through out the tour at local restaurant then move to visit Saladin Citadel including Mohamed Ali Alabaster Mosque inside. Continue to Coptic Cairo to visit the Hanging Church and Ben Ezra Synagogue. Have your Breakfast ,then you will be transfered to Cairo International Airport for departure. Accommodation 2 nights on sleeping train breakfast & dinner are included. Accommodation 4 nights on 5deluxe cruise with full board basis.